Tom Bonny, at the podium, begins the press conference in Estill County. There is a fundamental disagreement over how radioactive waste at an Estill County landfill should be handled. Resident Mary Farmer spoke at Tuesday’s press conference at the Estill County Fair Grounds. She says Advanced Disposal knew it was placing citizens at risk by bringing the material into the county. Farmer says the landfill operator should be responsible for taking it out. “Removal of this waste is the best solution to this problem,” she said, adding that the material endangers not only folks in Estill County but anyone who depends on the Kentucky River for drinking water. 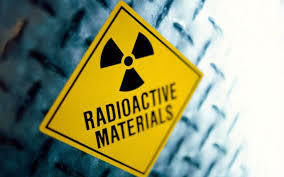 In 2015 about 1,200 tons of radioactive material was put in the landfill located close to a middle and high school and the Kentucky River. Mary Cromer is a lawyer with non-profit Appalachian Law Center. Cromer said leaving the material at the landfill poses an unacceptable risk. “Because the risk is going to be to public health it’s going to be to the environment it’s going to be a financial risk and it is going to be a burden, that will be a burden to this community for generations to come, ” she said. 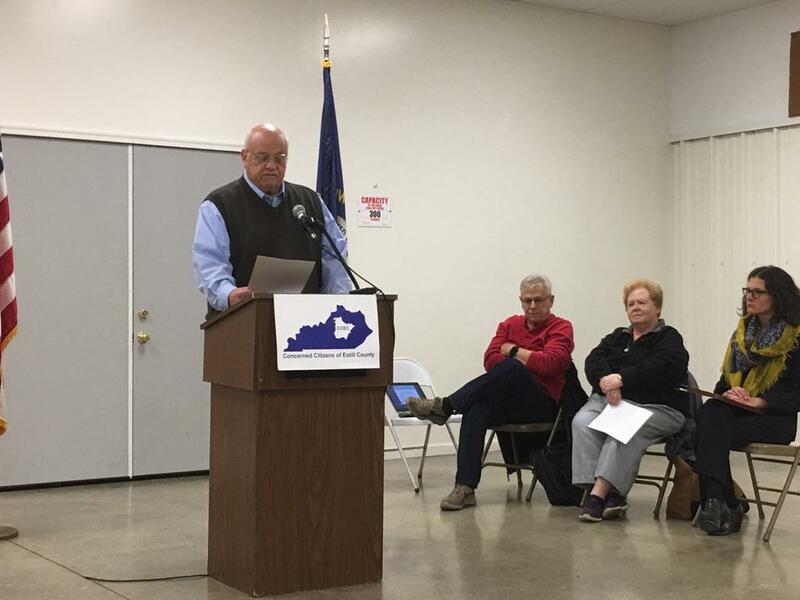 Cromer and members of the Concerned Citizens of Estill County urged the 40 or so folks in the audience to share their opinion with state environmental officials. The comment period concluded at the end of day Tuesday. The state has recommended the radioactive material not be removed but managed at the landfill in Irvine. NOTE: Updated to include responses from the Energy and Environment Cabinet and the Cabinet for Health and Family Services as well as one from the state's Attorney General's office. An Estill County citizens group is taking legal action against three state entities. The organization wants more information on the state’s response to the illegal dumping of low-level radioactive waste in the county landfill. 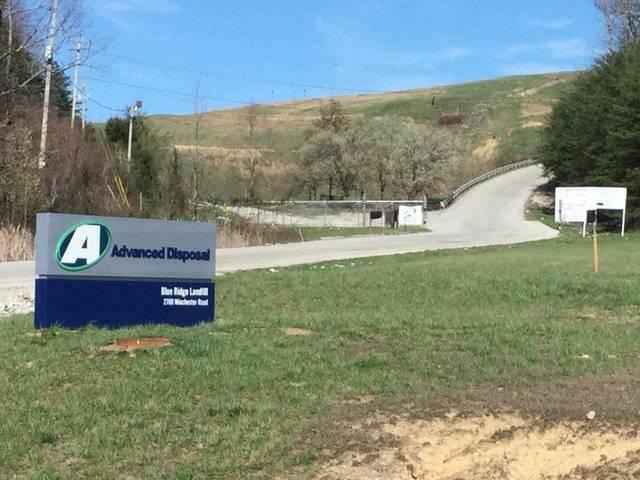 A leader of a Central Kentucky citizens group says there remain outstanding issues regarding the illegal dumping of low-level radioactive fracking waste at the Estill County landfill. A proposed agreement announced Friday by state Energy and Environment Cabinet includes a $95,000 civil penalty for Advance Disposal Services Blue Ridge Landfill. About two-thirds of that money would go for Radon monitoring and abatement at Estill County schools and at the landfill gate.